The first kidnapping case in the United States occurred in 1874 when the two little boys disappeared from their family’s mansion. The brothers followed the strangers, who offered them candies and fireworks. While one of the boys were sent to purchase fireworks, the kidnappers left with another brother, Charley Roos, who will never be seen again. Charley Ross became the first child abduction victim for ransom in the history of America. The kidnappers requested $20,000 for the boy’s return. The payment wasn’t provided for the fact Ross family never had much money. Charley’s father went to the police. But they were unable to find any trace of the boy missing. The crime story was the talk of the town for half of the century. Despite the enormous public concern and a long search for the lost son, Charley’s parents didn’t manage to find the truth about the abduction of their son. Ross Family were addressed continuously by grown men, who claimed they were their missing boy. Real Charley Ross was never found. The case has remained the mystery. Almost 150 years has gone since the first kidnapping case occurred. Still many children and teens missing nowadays. Although, the authority is struggling to prevent kidnapping and support all abduction victims kidnapping problem doesn’t seem to have a logical solution. What changed from the year 1874 and how kidnapping is accepted now? Keep reading to find out. Almost a century after Charley Ross abduction, in Chowchilla, California, another infamous kidnapping incident took place. A bus, with 26 children and a bus driver inside, was stopped by an armed kidnapper on the way to Chowchilla. The children and a driver were forced to leave the bus and were driven to a quarry in Livermore in two vans. Then the kidnappers placed the victims in the buried van supplying foods and water in small amounts. After 16 hours, bus driver, Ed Ray, and some other kids managed to reach the escape hatch. They opened the hatch, which was covered by heavy industrial batteries to lock them in the van. While the kidnappers were asleep, 26 children lead by the bus driver, managed to escape. Three kidnappers were found and sentenced to life in prison with eligibility to parole. They planned the abduction with utmost attention preparing the buried van and placing fans and mattresses inside it. Kidnappers intended to request $5 million ransom but didn’t manage to do it. Telephone lines were busy because of the parents trying to find their missing children. The kidnappers wrote a note demanding ransom, which though was found at the quarry. Although the Chowchilla incident had a successful outcome, it affected the kids who were abducted and held in the buried van. Children who experienced kidnapping incident have suffered from panic attacks, claustrophobia, having dreams about personal deaths and other psychological traumas. One of the children, Brown Hyde, claimed he became overprotective parent being afraid to leave his child alone. Another victim, Darla Neal has suffered from frequent anxiety attacks. Many of others children have also had terrible nightmares. Chowchilla incident has affected the kids badly. The driver though, Ed Ray, honored as a Chowchilla hero. He was visited by all the survived kids till his death in 2012. You barely find a person that didn’t hear about John Paul Getty III kidnapping, which happened in 1973. Getty Family was known for being one of the richest, one of the unhappiest famous families in the United States. The family has earned billions running the Getty Oil Company founded by Jean Paul. Getty. He sent his son, John Paul Getty II to head the business in Italy. John Paul soon developed an addiction to heroin, which affected his career and entire life. His son, John Paul Getty III spent the childhood in Italy, Rome. Although the family was wealthy, Getty didn’t have enough money and several times joked about planning own kidnapping to make his grandfather pay the requested ransom. Though, Getty changed his mind when he was kidnapped in July 1973. The kidnappers demanded $17 million ransom. Though, the wealthy grandfather didn’t hurry to help to release John Paul. Jean-Paul claimed if he pays the ransom for one grandchild, the other 13 will be kidnapped too to extract money from him. The businessman was criticized for such an attitude. The kidnappers decided to fasten the things up and sent a letter to Italian newspaper with John Paul’s lock of hair and ear inside. They requested the money once again threatening to cut the other ear. The threats made the grandfather pay the ransom, and John Paul Getty III was released in December. How did the kidnapping affect John Paul Getty III’s health? Ear cut caused an infection that made Getty sick. In addition to that, the boy was held in cold winter conditions suffering from pneumonia. Penicillin, the kidnappers, gave the boy, caused the allergy and Getty’s health worsened even more. The kidnappers also made the boy drink brandy to keep the body warm. According to John Pearson, Getty’s biographer, John Paul’s alcohol addiction developed during the captivity. During his life, John Paul was suffering from alcohol and substance addiction, which resulted in partial blindness and quadriplegic condition. Getty died at the age of 54 not recovered fully. No doubt, Charley Ross abduction was not the first kidnapping case in the USA, and indeed in the world. But it was the first case when parents of the child make the world involved in the search for their lost boy. Ross increased the child abduction awareness throughout the United States. Charley’s father, Christian Ross, wrote a book describing the struggle and despair he had been through when looking for the missing son. Although the book didn’t help Christian to find his son, the story supported other parents, whose kids also were kidnapped or lost. Charley Ross’s case also showed how media might assist in search of the missing children. Thousands of posters were distributed between local newspapers to inform the people about the disappearance of the boy. The story of Charley Ross, although unsuccessful, motivated many parents from around the world, to do everything they can to find and return their missing children home. This case made people acknowledge the kidnapping problem and develop the methods of how to prevent other abduction incidents. The Lindbergh law became the first governmental attempt to prevent kidnapping. According to the law, adopted in 1932, kidnapping was recognized as a criminal offense. If the kidnappers crossed the state borders, the authorities would be enabled to pursue them in order to save and return the victim. The law was passed after the infamous Lindbergh case when the kidnapper abducted the Charles Lindbergh’s toddler requesting a ransom. The money was paid, although the little boy was found dead. Kidnapping cases are all awful, but some of them have the successful outcome. The stories of Elizabeth Smart and Cleveland Kidnapping Victims prove there is a happy life after the abduction and captivity. Cleveland kidnapping survivor Michelle Knight reveals details about her secret wedding and how she found love. Modern parents, whose kids are kidnapped or significantly disappeared depend on the media. Nevertheless, the critical role in the search for missing children plays the police. In collaboration with many activists, the government regularly works on developing solutions to prevent kidnapping and punish the kidnappers more severely. In 1996 to help the authorities to return kidnapped children home safely the AMBER Alert system was created. AMBER stands for America’s Missing: Broadcast Emergency Response. Every state of America has an AMBER Alert system, which helps police to find and investigate children missing. AMBER alerts should follow specific criteria. It has to be confirmed that the child abducted is not older than 18 years old. Law enforcement agency has to possess enough information on the child abducted or the kidnapper and be informed that child is at high risk of injury or even death. If all the criteria are followed, the police will issue an AMBER Alert, including detailed information on the child kidnapped or the kidnapper. The alert will be sent to radio and television, also distributed via e-mails and websites to raise the awareness of the disappearance of the child. AMBER Alert system influenced the investigation of kidnapping cases positively. According to the Department of Justice, as of December 2015, AMBER alerts helped to return 800 children home safely. No matter how sad it sounds, children disappear every day. Parents can’t follow their kids everywhere. But they can tell them how to react when something strange is going on. By teaching the children how to resist kidnapping, it is possible to prevent child abduction and captivity. Avoid adults who ask for help. Conscientious adults don’t rely on the help of children. If an adult asks you for your help, apologize and refuse. Don’t buy into unexpected generous acts. If stranger offers you candy or another treat, it is the sign to stay alert. Don’t take anything from strangers even if they seem kind and friendly. Pay attention to your surroundings. Some kidnappers follow their target and spy on the child to plan the abduction. If you see the suspiciously looking person every day at the same location, tell your parents about it. Avoid strangers who offer you a lift. Remember the most important rule: you can get in someone’s car with your parents only. If someone drags you into the car, scream and yell as loud as you can to attract the attention of other people. Tell parents about anything strange. Inform your parents about every person that seems suspicious or odd. Don’t be afraid to contact police if there is a need. Use grabbing technique. Grab another person or child, a tree, a car wing mirror or anything near to stop the abduction attempt. The more you resist, the more chances to escape you have. Teaching the kids to resist kidnapping, parents should remember general recommendations. Know their friends’ phone numbers. You should have numbers of your child’s friends saved to the contacts list. In case the child can’t be reached, call their friends to check if everything is okay. Check their live location if you can. Knowing the location of a child, you can anticipate the kidnapping. Some mobile applications, like mSpy, provide access to real-time location of the child and keep track of the places kid visits during a day. Arrange neighborhood meeting. Cooperation with neighbors can be a fruitful method to prevent kidnapping in your neighborhood. Arrange a meeting to make sure your child knows the neighbors by sight to ask for help if something happens. Don’t leave your child with strangers. If you have to go somewhere for a minute, take your child with you. Never trust strangers, even if they seem nice. Make sure your child doesn’t walk alone. Kidnappers don’t usually abduct a child if there is someone else around. Tell your child not to walk alone and prefer busy streets when reaching home at night. Avoid labeling clothing of your child. Labeling your child’s clothing, you can unintentionally put your kid at risk. Kidnappers can find out the name of the kid easier and pretend they know the child personally. Make sure they don’t share private details online.Location added to Instagram photo or phone number in Facebook bio, may help the abductor reach the child. 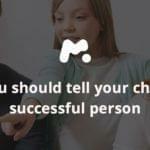 Get assured the kid doesn’t share personal information online. Remember: fear is the mind-killer. Child should be dauntless and courageous enough to resist the kidnapper and don’t get tricked by strangers. Teach your child not to be afraid of abductors, but to act quickly and instantly to escape and save own life. What Should You Do If Your Child Is Missing? If your child disappears, you should act instantly to eliminate the negative consequences of the abduction. What should you do to return your child as soon as possible? Reach local law-enforcement agency. If you believe your child is missing, contact the law-enforcement immediately. Make sure to tell all the relevant details including the child’s name, date of birth, clothing they were wearing and other descriptive information that may help to recognize your child. Request the authorities to add all the details and your child’s name into National Crime Information Center Missing Person File. Provide information on custody issues if there are any. Search thoroughly every area where the child may hide. These may be closets, vehicles and other places in- and outside the house. Secure room of the child and child’s personal belongings. The law enforcement will then conduct a thorough search. Ask whether AMBER Alert is under consideration. Inform the authorities about custody issues. Get help of local non-profit organizations, which assist parents in search of missing kids. Call 1-800-843-5678 to find information on the organization in your specific area. In case your child runs away from home, connect National Runaway Safeline. Inform the media about your missing child. Maintain regular contact with the law enforcement agency to provide additional details and observe the search for the kid missing. The detailed guide on how to act when your kid’ missing, can be downloaded from the official website of NCMEC (National Center For Missing and Exploited Children).